As your browser does not show inline frames, to see the displayed information you will need to go to http://www.poppytime.com/gen/menu.htm. Requires red paper, black paper, brads (split pin brass fasteners). Optional template [pdf] for petals. See instructions. Print a template, cut out and glue. Provides a choice of colour template or black and white template. Five poppy, wreath and peace cut-out activities for kindergarten and pre-school children. 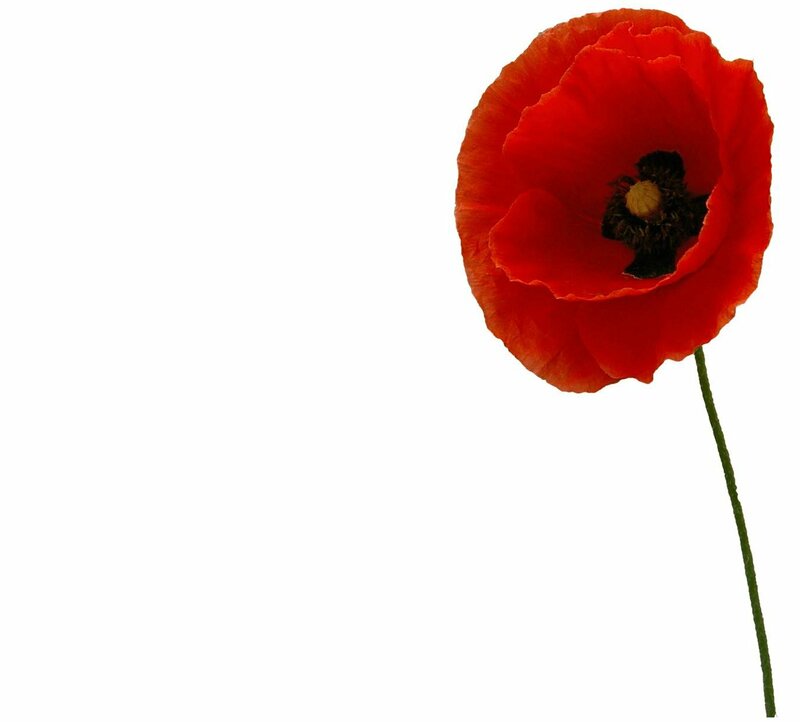 Includes templates for the wreath and for either small or large poppies. Scroll down for the instructions on making a poppy wreath using a stick wreath. The earlier poppy instructions cover cutting up paper napkins to make four-petal, three-petal or two-petal poppies. Instructions on making a wreath using red finger paint, green or black finger paint, scrap cardboard, paper. See the "Remembrance Day Wreath Counting Activity". A very simple poppy wreath activity for kindergarten students using red and black circle stickers. Red poppy recycled paper, red poppy Remembrance wreath, red poppies. Not illustrated. A paper-based activity to make a wreath of roses. A pdf file provides images of leaves to print on green paper, roses to print on red paper and a base sheet (template) to print on white paper and to which the cut-out leaves and roses are glued. Note the "DOWNLOAD ACROBAT FILE" link at the bottom. Commences with a straw wreath base then shows how greenery can be added. Though not illustrated, a final step could be adding red paper poppies or similar real flowers to make a Remembrance Day wreath. 29 pins. A range of poppy and other kinds of wreaths suitable for Remembrance Day. - a bare-bones outline template onto which individual cut-out poppies would need to be glued.